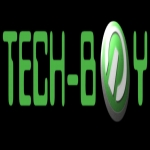 IT Services ~Web Services ~ SEO Services ~ Social Media Marketing. We offer a range of services intended to provide a one-stop solution for any business, from computer repair, network maintenance, and server administration, through to web design, hosting, SEO, and social media marketing. With over 20 years' experience in the IT industry, we ensure that we provide cost-effective, efficient, and reliable solutions to any problem a business may face.